The event kicked off with 2017 Veterans Initiative fellow, Evette Kim, inviting the audience to stand for the presentation of colors by the Los Angeles Recruiting Battalion. CAUSE Executive Director Kim Yamasaki continued by welcoming the guests and sharing the purpose of the Veterans Initiative program. 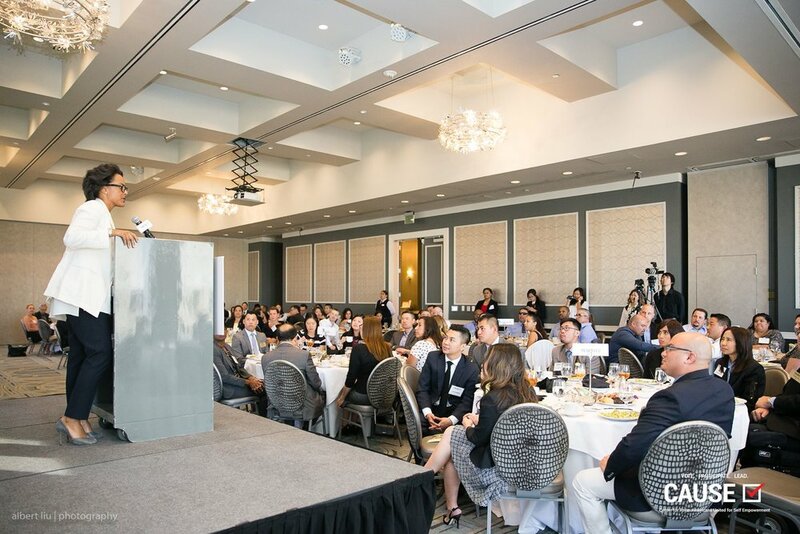 Adam Ma, CAUSE Boardmember and Community Relations & External Affairs at SoCalGas, shared the efforts of SoCalGas’s VALOR program in hiring and retaining veteran employees, while also highlighting the importance of supporting the empowerment of veterans through leadership initiatives like those at CAUSE. 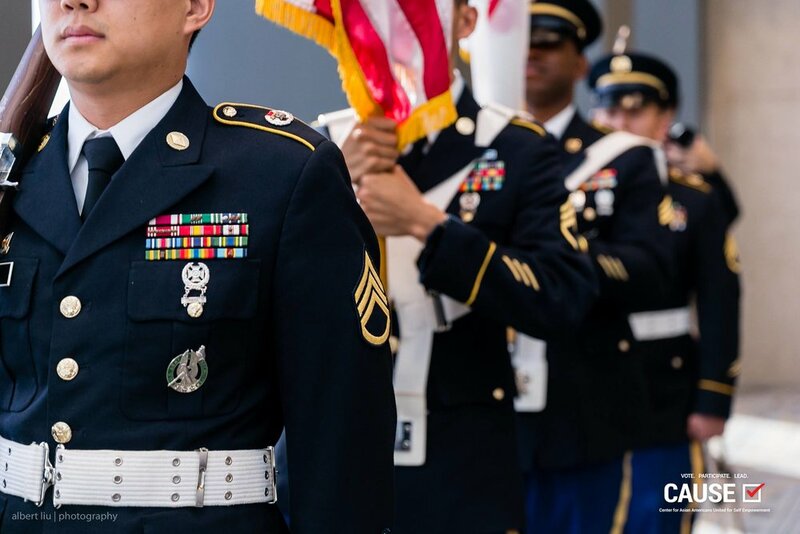 The program continued with elected remarks from The Honorable Steven Ly, Mayor Pro Tem of the Rosemead City Council and Second Lieutenant of the US Army Reserves. He underscored the importance of supporting veterans in adjusting to society by taking the initiative to reach out and regularly engage fellow veterans in our community. As the program came to a close, guests stood for the retreat of colors and were encouraged to network with other veterans and community leaders in the audience.